15 Bean Soup – Stahl-Meyer Foods, Inc. In large pot add beans, onions, celery, broth, and neck bones. Add enough water to cover. Bring to boil and reduce to simmer, stirring occasionally. When meat is falling off bones, remove from pot and cool. If soup starts to get too thick you can add more water. Season to taste. 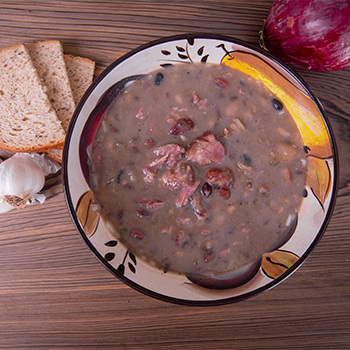 Remove meat from bones and add back to bean soup. Cook until beans reach desired tenderness.